MedAID (Mediterranean Aquaculture Integrated Development) is a H2020 project which aims to increase the overall competitiveness and sustainability of the Mediterranean marine fish-farming sector, throughout the whole value chain. The first Workpackage of MedAID (WP1) is developing a Holistic sustainability assessment of the Mediterranean marine fish farming sector. This study has been conceived as a platform for multiple analysis of the possible factors and causes affecting the sustainability and competitiveness of the sector, integrating zootechnical, health, environmental, economic, social and governance aspects. MedAID has designed and executed an ambitious and detailed farm sustainability survey to collect the maximum information associated with all the above mentioned aspects. A total of 40 production units (both ongrowing and hatchery farms) have participated in this survey, corresponding to 25 different companies, located in 9 Mediterranean countries (Croatia, Cyprus, Egypt, France, Greece, Italy, Spain, Tunisia & Turkey). 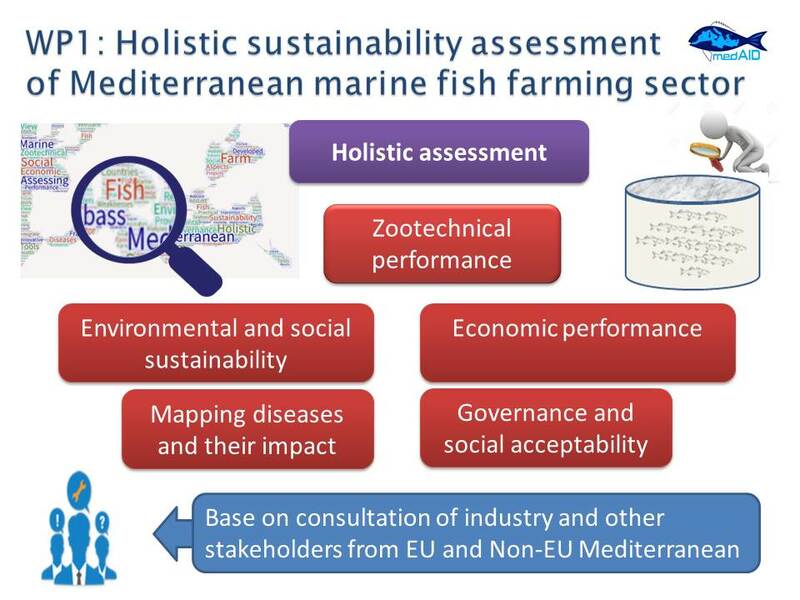 The results of the survey are to be reported to the European Commission as project Deliverable 1.2 (Assessment of Mediterranean Aquaculture Sustainability), to be later complemented with other sources of information and inputs from stakeholders in order to elaborate a Holistic synthesis report (project Deliverable 1.3) which will provide to the EU, the Mediterranean countries and the aquaculture industry with an updated and root-based diagnostic of the whole value chain of the sector. The objectives of this MedAID regional workshop are i) to present the analysis of the survey conducted to assess the sustainability of the Mediterranean marine fish farming sector (Deliverable D1.2 – Assessment of Mediterranean Aquaculture Sustainability); and ii) to discuss the obtained results with representatives of the surveyed companies, other aquaculture producers and other key players of the sector in order to get their inputs and have a broader vision from the whole value chain of the Mediterranean aquaculture. 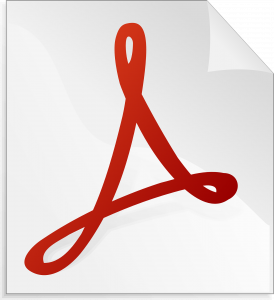 Finally, the workshop will make available to the entire aquaculture community a report with the results and inputs from the discussions that will be taken into account in the preparation of the final synthesis document that will be submitted to the European Comission. The workshop programme will be divided into the five thematic sections of the MedAID Assessment, with presentations by the leaders of each task and open guided discussions. Each specific thematic assessment presentation will integrate the data obtained from the production sector through the survey with other sources of complementary information, to offer a state of the art of the reality of the sector. At the end of the day MedAID leaders will make a short review of most relevant results obtained until that moment in each of the project work packages. Two field visits are offered in an optional basis to the participants: at the end of the Workshop on 24th afternoon, a visit to the fish auction of Sant Carles de la Rápita; and a half-day visit on the 25thJanuary to the Alfacs bay, formed by the Ebro river sedimentary deposition, where molluscs production units live together with an important touristicindustry in a birdbiodiversity spot (the bay is part of the Ebro Delta Natural Park). This MedAID Workshop is organized by the Institute for Food and Agricultural Research and Technology (IRTA) through the Sant Carles de la Ràpita Centre, and the International Centre for Advanced Mediterranean Agronomic Studies (CIHEAM), through the Mediterranean Agronomic Institute of Zaragoza (IAMZ). And it will take place IRTA Sant Carles de la Ràpita Centre, Ctra. de Poble Nou, 5, 43540 Sant Carles de la Ràpita, Tarragona (Spain).